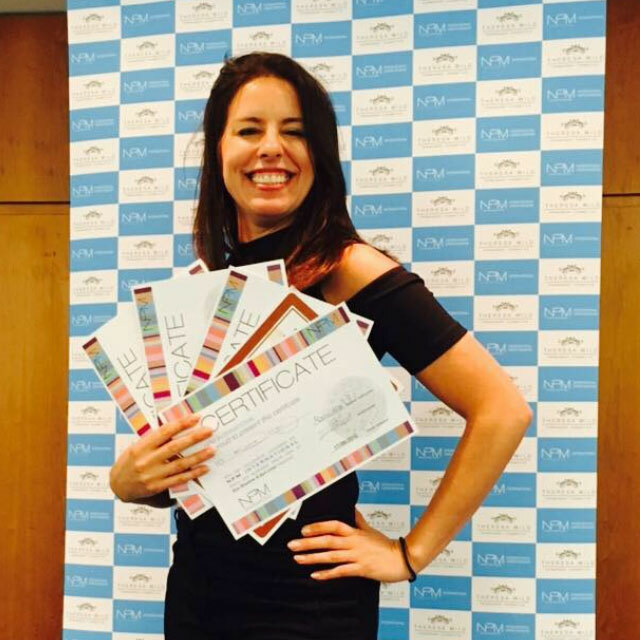 Emma Hall, Director and Founder of Emma Hall Beauty and training academy, Emma also holds an energy healing certificate & a master certificate in NLP business & life coaching, which supports & helps her students achieve better results in their new chosen career. Emma is a Permanent Makeup and Medical Tattoo Artist, with over 13 years of extensive industry experience. After completing her initial Micropigmentation training at the world renowned ‘Noveau Contour Academy’, she went on to gain master level status in eyebrow, lip and lash enhancements, before gaining further post graduate accreditations in the specialised field of medical tattooing, focusing on reconstructive and advanced camouflage procedures with relation to cleft lip reconstruction, areola enhancement, scalp and vitiligo camouflage and scar relaxation. 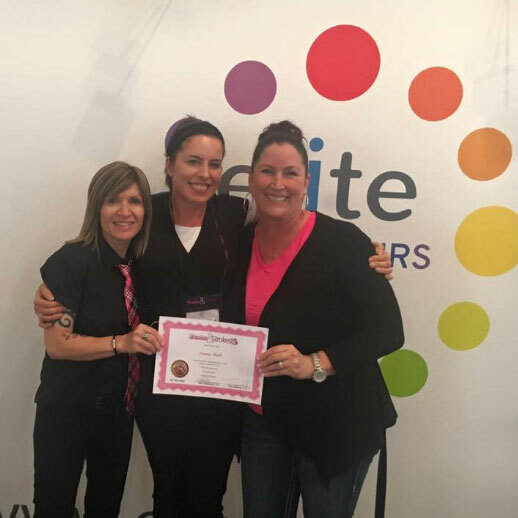 With a commitment to excellence and a passion to help others thrive and regain their confidence after cancer surgery. Emma is part of Ellie’s Friends charity organisation which is dedicated to improving the lives of adults, living with cancer, all around the UK. Emma provided free permanent make up procedures which includes two treatments spaced 6-8 weeks apart, along with healing & coaching people, this is conducted via skype & the session lasts for two hours. 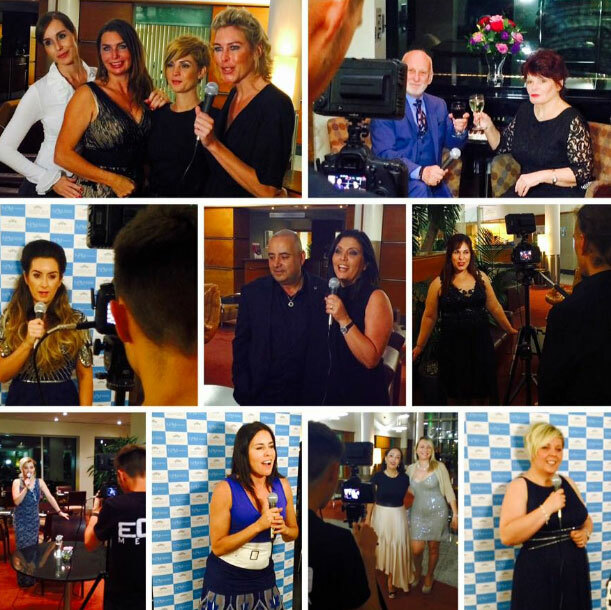 Emma Hall never stop learning, regularly attending permanent make up and healing master classes and workshop around the world. 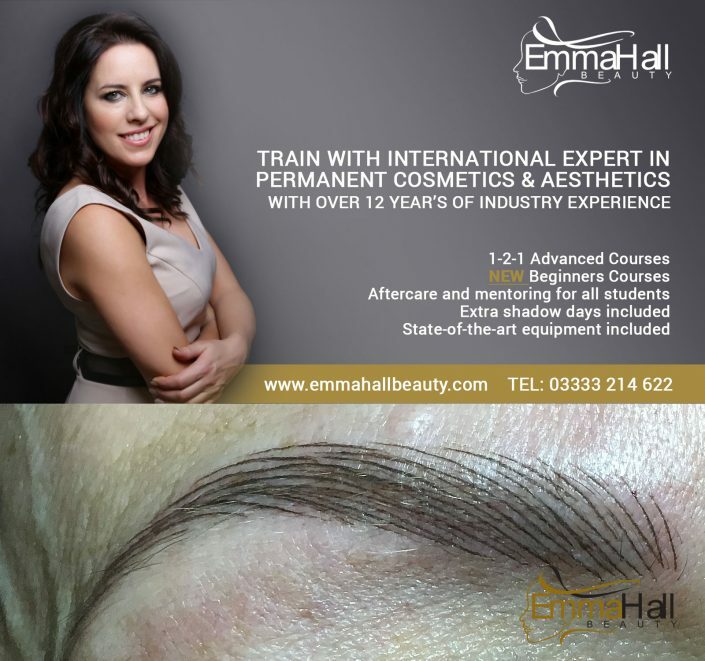 In 2014 Emma launched her own permanent make up training courses, which are designed to help the next generation of micropigmentation artists and pro technicians achieve their dreams, by providing outstanding clinical services whilst developing a successful freelance business. 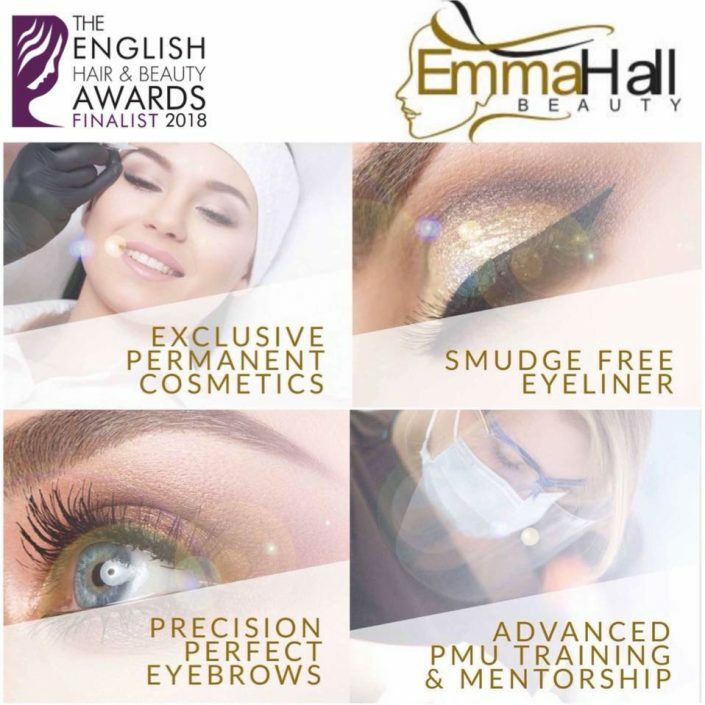 Emma regularly attends international and UK based master classes and conferences on an annual basis to keep up to date with the latest industry developments and cosmeceutical advances. Her work has been featured extensively online. Having decided on a permanent make up solution to rectify my unimpressive and over-plucked brows I did my research before deciding on Emma; I’m so pleased with my choice. Emma has a great eye for shape and colour and from the initial consultation through to the follow up session Emma’s care and attention to detail were completely reassuring. I am loving my new brows. If you are going to put your face in someone else’s hands then you need to choose carefully. I couldn’t recommend Emma more highly. I would like to say a big thank you for completely changing my life for the better! My new eyebrows look fabulous. I feel so much more confident. I know I can enjoy my holiday with out fear of my normally pencilled in eyebrows coming off. Thank you so much, you made me feel completely at ease throughout the entire procedure and you were right – it didn’t hurt at all! I had been considering permanent make-up for six months, after having cancer and losing my eye brows. No matter how much I tried I was unable to pencil them in to look the same. I tried all manor of pencils and even used a stencil set to no avail, they never looked natural. I booked an appointment feeling quite nervous, thinking it would be quite painful. On the day Emma arrived with a lovely white leather treatment bed and all the sterilised equipment needed inclulding anaesthetic. Emma took the time to measure carefully and asked my opinion every step of the way. She explained exactly what she was doing before she did it. She’s a lovely person and extremely professional, easy to communicate with and made sure I was happy with what my eyebrows would look like. When they were finished, her main concern was that I was happy with the finished result. I’m delighted with the shape and colour, I would recommend Permanently Gorgeous make-up and Emma to anyone. I have already booked an appointment for my eye lash extensions and am really looking forward to that, it’s worth every penny! Having been injured in an accident as a teenager I was left with scars to my upper and lower eye lids and a prosthetic eye. Over the years I have been very conscious of the ‘wonkiness’ of my eyes. Having stopped growing my hair over my face I found myself never really wanting to look at people straight on, as I reached 40 I decided it was time to make a change. I found Emma’s website and got in touch. She was very positive and said yes I think there is something we can do. I booked in for eyeliner treatment. Over the session she painstakingly worked her magic. I looked in the mirror with tears of joy for the first time in forever my eyes looked like they belong together and i felt complete. My friends and family comments have been ‘wow that’s amazing what a difference’. I now greet the world with a new found confidence, and look forward to being near a mirror. I had been looking into getting my eyebrows fixed for years but having been in the beauty industry myself and spent years modelling commercially i am a bit of a perfectionist. I also suffer with a skin problem called psoriasis and have lost all of my brows years ago and have had to pencil them in ever since, this has meant no swimming, worrying on hot days and waking up with no brows! as well as effecting work as a model. Emma came recommended to me and the moment i saw saw her website i fell in love with her work. i have spent years of research and looking through websites to make sure that i got it absolutely right. Once booked in with Emma I made the round trip of just over 500 miles to visit her and it was worth every mile. When i arrived at her salon in Birmingham i was greeted by one of the most professional, friendly, knowledgeable ladies I’ve met and was immediately put at ease. After a very in depth consultation we began and I’m amazed with the results! They look so natural and so beautiful the frame of my face has changed and everyone comments how great they look and for the ones that i haven’t told…they just see beautiful well groomed brows and are none the wiser! It has changed my life and i have Emma to thank for that. They are beautiful brows and it proved that my years of research paid off! 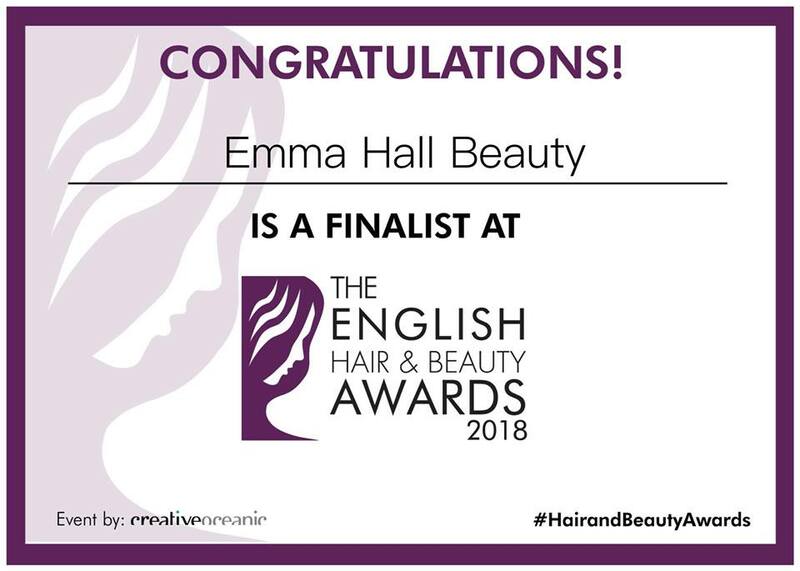 Thank you so much Emma for everything and to anyone thinking about having this procedure done……Your in the best hands possible she is the answer to all of your brow dramas!! I am over the moon with the results of permanent make up, before the treatment my lips were thin looking and asymmetrical in shape but now I’ve had the lip blush they are perfectly shaped, very full and most importantly extremely natural looking. I’m so pleased with my eye liner, it now takes second’s to do my make-up in the morning and has given me the confidence to go with out make-up at the weekends. Just a quick email to thank you once again for the fantastic job you have done on my eyebrows! They look sooooooo perfect and natural and the confidence that shines through me now is unbelievable. As you know I only had them done last Friday and I honestly have had no problems with them. My partner was absolutely amazed by the work. So, once again, thank you thank you thank you! It is truly amazing and life changing work you do, sorry if that sounded slightly over dramatical, but for me its changed the fact that I can look at people without feeling embarrassed. I’ve always been unhappy with my lips as they were thin and without much shape. I was nervous about the treatment, but Emma was very professional, and it wasn’t painful at all. I love the result and would recommend it to anybody. I used to pencil in my eyebrows every day. I like swimming and sports, and when I went to the gym they would run down my face, which used to make me feel very embarrassed but since I’ve had the procedure done I feel much more confident and I don’t have to worry about them anymore. I love my new eyeliner, its great that I don’t have to apply it every day as I work early in the morning. The dark green colour really enhances the colour of my eyes. After wearing fake eyelashes for two years I wanted a semi permanent option. After researching I came across Emma’s website! From start to finish Emma was fantastic and very understanding about why I wanted semi permanent eye lashes. Emma made me feel very relaxed during the treatment! The end results are brilliant! My eyelashes look and feel natural! I would recommend any body that wants thick and natural long lashes! I was extremely nervous about having semi permanent makeup on my eyebrows, but Emma was so lovely, she reassured me and I was able to relax. I was amazed at how comfortable I felt throughout the 90 minute procedure. I am absolutely thrilled with the result. The difference it has made to me and my day to day life is enormous. I do not have to hide underneath a hat if I have not had enough time to draw my eyebrows on properly. I can for the first time go swimming with my girls knowing that my eyebrows are not going to wash off. I am so confident now because they look so natural, no one can even tell what I’ve had done. I was amazed when Emma handed me the mirror after the procedure, I cried because I couldn’t believe what I saw, I had eyebrows for the first time in over 15 years and they looked so natural due to the fine hair strokes. I would certainly recommend Emma to anyone considering this treatment.